Kudos to Tiffen for a well-designed collection. I tested the Mavic 2 Zoom 6 Filter Kit that’s part of the Tiffen ND (neutral-density) Aerial Collection for drones. My tests were of the six ND filters in the set— three ND and three ND with polarizer (PL) filters—which are housed in a nice tin case. Neutral density filters and polarizers are an essential tool in any photographer’s equipment bag, and they’re particularly important for creating long-exposure drone images from the air. This is especially true for video when you need to slow down the shutter to create smooth video clips. 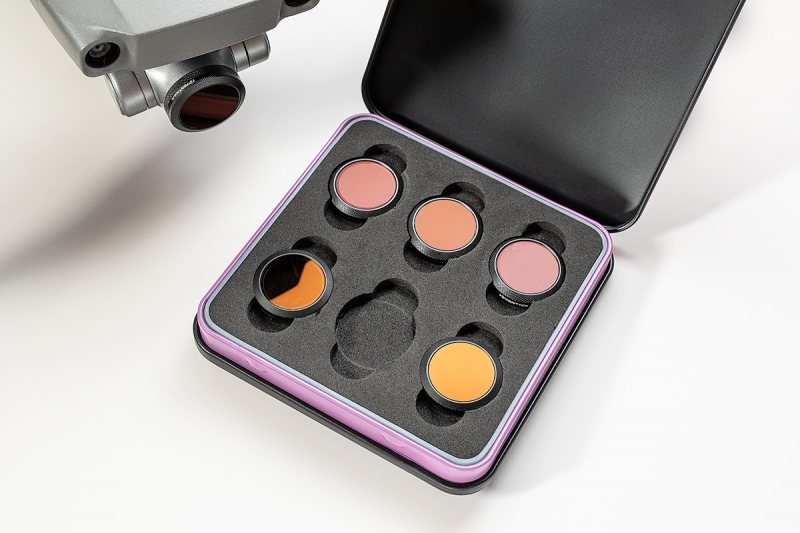 The Mavic 2 Zoom 6 Filter Kit includes ND4 (2 stops), ND8 (3 stops), ND16 (4 stops) Solid Neutral Density filters and ND4/PL (2 stops w/polarizer), ND8/PL (3 stops w/polarizer), and ND16/PL (4 stops w/polarizer) Rotational Neutral Density Polarizers. The filters are approximately 17mm. To use them, unscrew the DJI camera filter and screw on the Tiffen filter, which is easy except for the first time you remove the DJI filter. Use care and a little muscle as it’s quite tight, and be sure to hold the camera securely in its mount. For still photography, the ND filters allow you to control the exposure for brightness when shooting in manual mode. You can select a slow shutter speed for smoothing waterfalls or fountains or a stream of moving lights since the craft is stable enough to create long exposures up to 8 seconds in little or no wind. You can also experiment with moving your craft to make long exposures with purposefully blurry compositions as well. 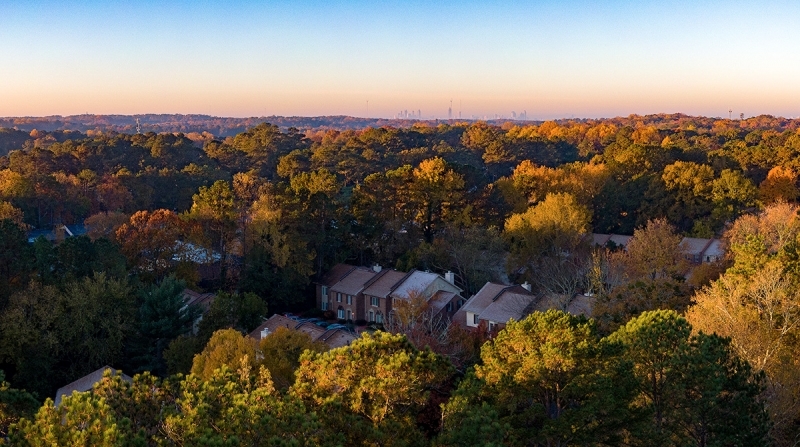 Early in my evaluation I made a flight over an Atlanta suburb to test the ND16 PL, which reduces light by four stops. The ND PL filters work the same but with the added benefit of polarization control. 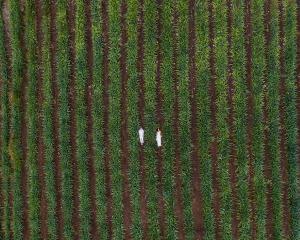 Select the angle of the image you want, then before takeoff hold the craft and point the lens in the direction you want to shoot. Turn the polarizer clockwise until you see the effect you want. Pointing the lens at the sky, a window, or water helps set this up. Watch as you turn the polarizer to see the blue sky darken or a reflection disappear. The same process can be applied to a lake when you want to reduce light reflectivity to make the surface of the water darker. For video, the ND and ND PL filters are a must to control shutter speed for the frame rate you want to use. For instance, for a 24fps capture you want the shutter speed set at 1/50 second, and you can change the ISO to control the exposure value in manual mode. In auto mode it will default to 1/25 second, and you have control of the exposure value (EV) plus or minus 3 stops on the Mavic 2 Zoom. 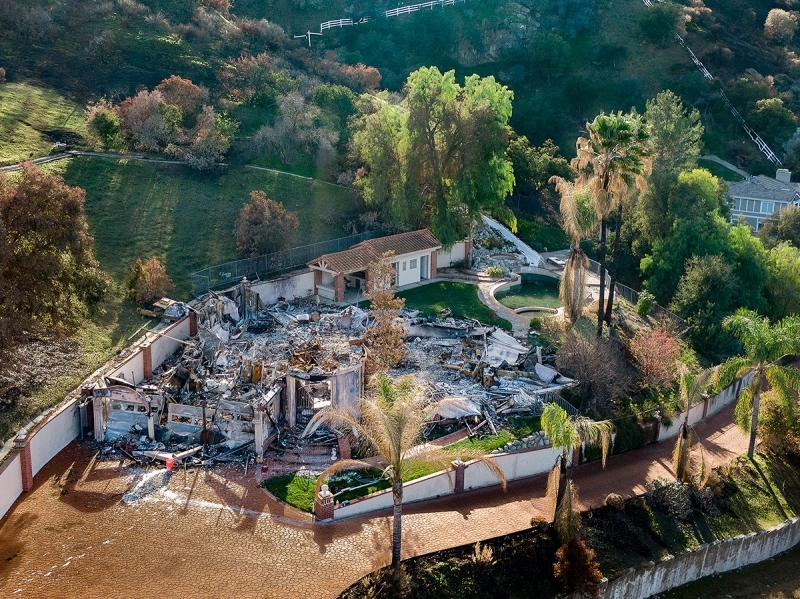 The Woolsey Fire ripped though the suburbs of Los Angeles November 2018. This image shows the aftermath using the Tiffen ND8/PL set to polarize for the brick foreground. 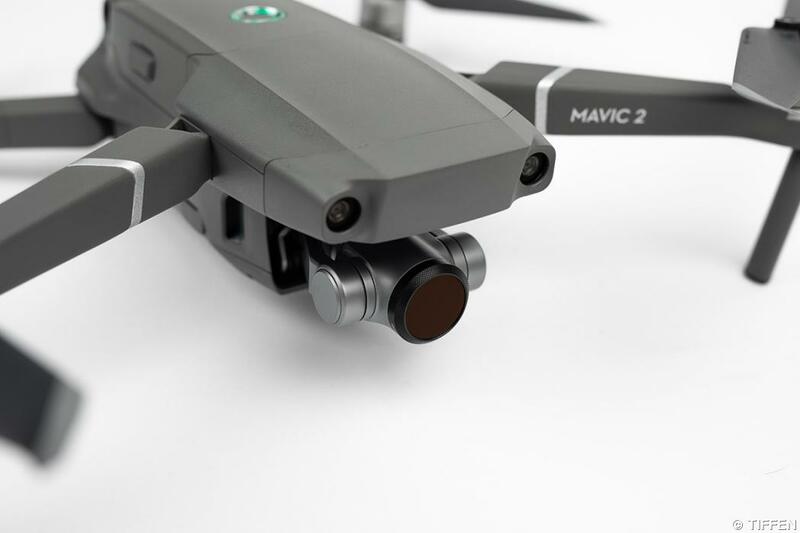 The DJI Mavic 2 Zoom in manual mode gives you control of your shutter speed and ISO settings but not the f/stop. However, you can control the EV by changing the shutter speed. Similarly, in auto mode, you don’t have control of shutter speed or ISO, but you can set the EV plus or minus 3 stops in 1/3-stop increments. For the best video quality, in the Intelligent Flight settings, use the Cinematic Mode option. There are other prosumer and professional drone products that offer the full exposure triangle controls—ISO, shutter speed and f/stop—independently. For the small size of these filters, they do a good job of giving you better control of exposure. 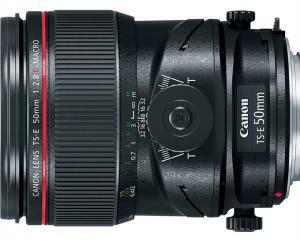 The polarizer control is nice to have but slightly limited due to the small size. All in all, I wouldn’t have a camera or drone without the capability of ND or polarization filters, and the Tiffen filters make imaging from the air easier to control. Eddie Tapp is a photographer and photography educator in Atlanta. 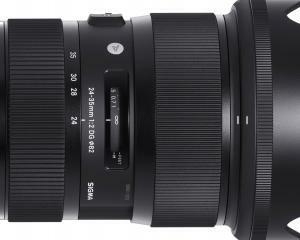 This Sigma camera lens offers quality, focal length range, and more at a great price.